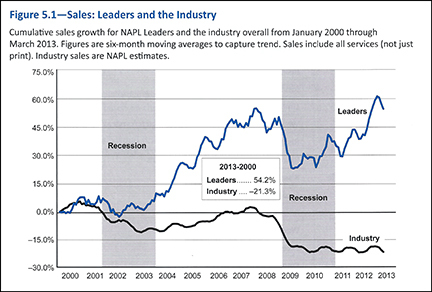 NAPL report: What is happening to the printing industry? 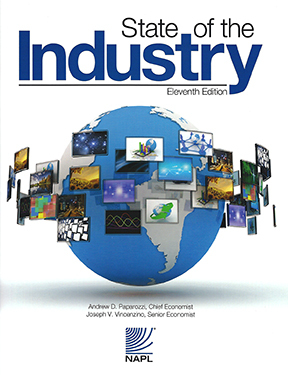 Last September, NAPL (National Association for Printing Leadership) published a valuable eleventh edition of a report called “State of the Industry.” The report provides a multi-faceted and insightful look into the condition of the printing industry—the changes, challenges and opportunities faced by printing firms today—based upon a survey of executives and owners from more than 300 companies. A central theme of the survey results and analysis—both quantitative and qualitative—is that print is undergoing a transformation of historic magnitude. The difficulties created by the Great Recession of 2008-2009 that caused business volumes to fall dramatically—and they still remain today some 21% below pre-recession highs—are but one side of the problems created by rapidly evolving print markets. The report begins with the following: “Business remains a tough grind, with little opportunity for organic growth.” This means that firms competing for “new” business are struggling over a traditional print market pie that is getting smaller; and yet market redistribution is also underway because of the second side of the changing business climate: the fundamental adjustments brought on by digital communications technologies and methods. The NAPL analysis is more than a review and commentary on the condition of the industry (Chapters: “Where We Are” and “Where We Are Headed”); the report also contains an assessment of those firms that are doing well in the current environment. It brings together generalizations (Chapters: “What We Have to Do” and “We May Need to Look Elsewhere”) about the correct way to approach the printing business today (Chapters: “Leaders: A Diverse Group” and “Ideas for Action”). At the same time, the report cautions against any kind of formulaic or “cookie-cutter” solution for every company or situation. One interesting point that is made deals with the contraction of the industry. It is well know that the number of printing establishments has been declining for the last two decades; since 1992 there were 16,000 fewer companies in the industry (41,012 down to 25,242) by 2012. 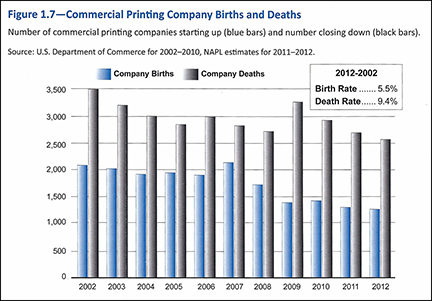 However, as the report analyses, not only are companies dying off, but there are also new firms being born each year. Another important point the report makes about the overall situation is that a boost in overall economic activity as reflected in GDP is not going to produce a “recovery” in printing. In any event, the very modest economic growth remains lackluster because of “headwinds” such as government cutbacks and the implications of the Affordable Care Act. NAPL predicts that US printing industry sales will rise .5%-1.5% in 2013 and as much as 1.0%-3.0% in 2014 following an increase of .6% in 2012. While these figures are very modest, the report shows that these results are not projected to be even across all regions of the country. While some regions, such as South Central, have experienced double-digit growth since 2007, others like the Southeast and North Central have seen an overall decline of -.5%. One of the striking results of the survey is that there is an expanding divergence between industry leaders and the rest of the industry. This comes out most obviously on the sales front. It is clear from the foregoing data that understanding customer needs, business development and sales are a top priorities for printing company owners and executives. Where does offset lithography fit? An important aspect of the NAPL report deals with the state of traditional offset printing. In fact, the report contains a page following the executive summary called, “What About Lithography?” which makes some highly valuable comments about the relationship between the old and the new of the industry. Eighty-eight percent of NAPL survey respondents reported that they get one quarter of their revenue from offset lithography and 70% report that it accounts for at least half. Printing companies cannot afford to “walk away” from this dominant yet traditional source of revenue. “Put simply, once we won by being the best lithographer. Now we win by being the best at putting lithography and every other service that we offer—it’s print-and, not print-or—to work for our clients.” This is a very good summary of where we are as an industry: one foot in the old and one foot in the new era of communications. I suspect there are more than a few readers who remember how printing and publishing changed dramatically in the 1980s as desktop computers and print-ready files displaced phototypesetters and camera-ready artwork. Many of us went from the hazards of darkroom chemistry to that of workstation ergonomics; I remember being unceremoniously lifted from the comfort of my paste-up boards, horizontal camera and film processor and dropped into the world of SyQuest disks, Apple system “bombs” and PostScript (infinite-loop) errors. 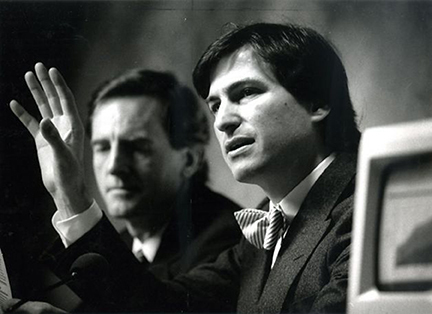 Steve Jobs at the press conference where the first desktop publishing system was announced on January 23, 1985. It is safe to say that few understood the meaning of what happened that day. For the first time, text and graphics were placed on a page simultaneously and imaged on paper as reproduction “copy” or as a final printed sheet. The breakthrough of desktop publishing was that it was possible for just about anyone—with a modest investment—to become a publisher. The full impact of desktop publishing would be realized over the next decade as it transformed several industries and was a significant element in the evolution of the World Wide Web. Today Anderson believes that we are living through a similar paradigm shift. But this time it is in the world of physical objects and the making of things. Today’s Maker Movement—the design and manufacture of things by individuals instead of industrial corporations—is with personal computers, CAD software and desktop 3-D printers and other equipment like laser cutters and CNC machines. Distinct from the desktop printers that produce 2-D black and white or full color images on sheets of paper, a 3-D printer uses electronic geometries and turns them into objects that you can pick up and hold in your hand. 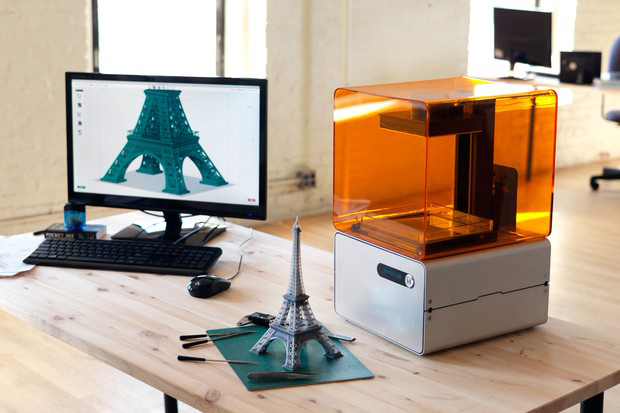 Desktop 3-D printers usually extrude molten plastic in layers of liquid or powder resin. They can typically put down plastic material in thin layers (.33 of a millimeter) in processes like fusion deposition modeling (FDM), stereo lithography (SLA) or selective laser sintering (SLS). 3-D printers are an “additive” manufacturing technology; they build up objects from nothing, layer by layer. This is distinct from older industrial techniques—like “subtractive” routers and mills—in which spinning raw material is cut or ground away to reveal the object. Although they are newer and undergoing rapid development, additive 3-D printers have the advantage of producing little or no waste in the production process. According to a recent report by IDTechEx, large-scale 3-D printing surpassed revenues of $1 billion in 2012 and growth is expected to quadruple by 2025. 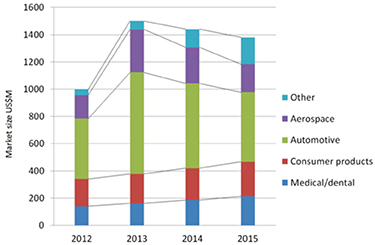 Industries that are heavy users of 3-D printing technologies are medical and dental, automotive and aerospace. The promise of the 3-D print is that it opens up inexpensive variability and complexity to the mass manufacturing process. For example, 3-D print used in the manufacture of prosthetics and orthopedic implants makes possible mass customization based on patient CT or MRI scan data. Some believe—including Chris Anderson—that the digital Do-It-Yourself (DIY) and Maker Movement are generating a much bigger market than that of the large-scale commercial applications. 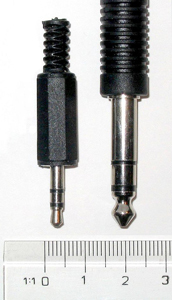 The aggregate value of the design and manufacture of entirely custom products in medium to small (or even single) quantities is potentially greater than the manufacture of mass consumer products where each item is identical. This is a business concept that everyone in the printing industry is very familiar with. We have been dealing with the economics of the digital print for two decades and understand very well that the cost per unit of a digital print product (custom) versus conventional offset printing (mass production). The cost per unit in digital print is “flat,” i.e. it do not rise or fall based upon a decrease or increase in quantity or a change in complexity, whereas the cost of the setup (make-ready) of a traditional offset print project is amortized across the entire print run. 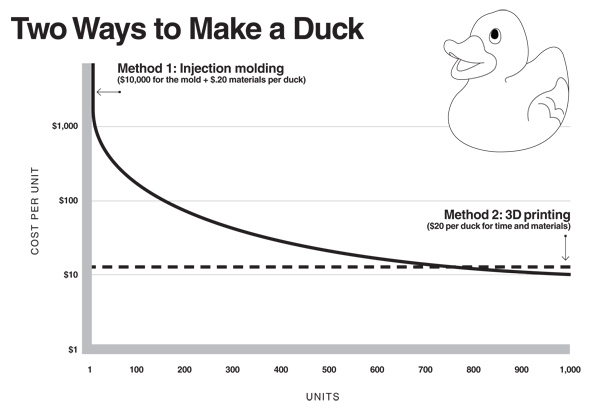 The relationship between the cost per unit and the quantity of mass manufacturing (injection molding) versus digital fabrication (3-D printing). We can rightfully question Chris Anderson’s assertion that digital desktop fabrication heralds the beginning of new industrial revolution on the magnitude of that which occurred in the nineteenth century. However, there is no doubting his commitment. Anderson recently left his position after more than ten years as editor of Wired magazine to become full-time CEO of the firm he founded called 3D Robotics that manufactures unmanned aerial vehicles (UAVs). As we think about the meaning of 3-D printing technology today, it is important to reflect back upon the desktop revolution of the 1980s. We should recall that many in the publishing industry viewed the nascent desktop system—inspired by Steve Jobs of Apple, Paul Brainerd of Aldus and Chuck Geschke and John Warnock of Adobe—as not measuring up to the professional requirements of the day. Many who initially dismissed desktop publishing as a fad and resisted the transition away from mechanical graphic arts technologies would later live to regret that perception. The promise of 3-D printing is significant. 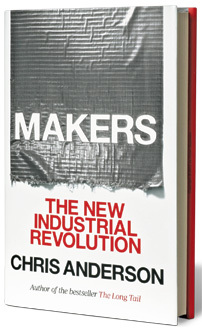 Perhaps Chris Anderson will not be alone in the migration from the printing and publishing industries to that of digital fabrication, DIY manufacturing and the Maker Movement. Both the premiere print trade show and the top direct marketing conference were held in October this year. I had the fortunate opportunity to attend these two shows back to back: Graph Expo in Chicago on October 7-10 and DMA2012 in Las Vegas on October 13-18. As I walked the exhibit spaces and attended meetings, presentations and other gatherings, I saw important similarities and differences between these two events. Each in their own way illustrated how the graphic arts and direct marketing industries are being impacted by digital, social and mobile media technologies. They also revealed the complexities and difficulties facing every organization in our era of data-driven marketing and communications. The mood among presenters, exhibitors and attendees at both shows was one of cautious optimism. The ongoing perfect storm of economic downturn combined with rapid technological change was on everyone’s mind. Both shows were devoted to providing answers and solutions to the pressing problem of the day; how can business owners and decision makers achieve success by more effectively serving client needs. With an emphasis on technology demonstration, Graph Expo is primarily about the equipment needed to accomplish marketing and communications objectives. And with an emphasis on conference sessions, DMA2012 (Direct Marketing Association) is focused on programs that educate and inform its audience about the processes needed to prepare and analyze initiatives. 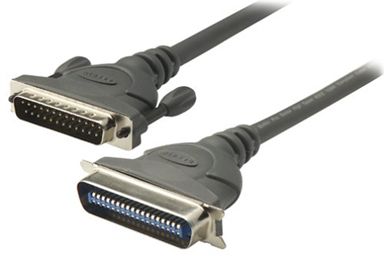 GraphExpo is for service companies that buy systems for the execution of programs. 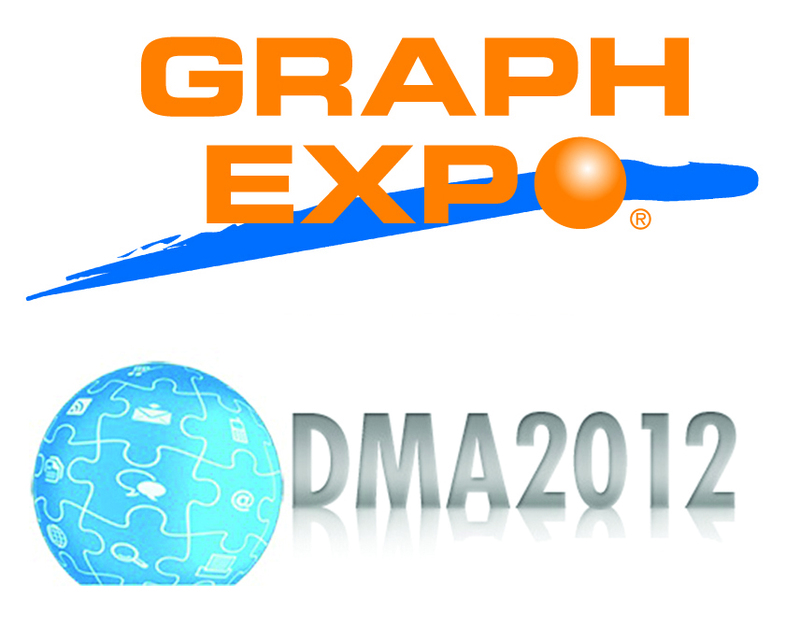 DMA2012 is for marketing companies that buy tools and solutions for the conceptualization of programs. Taken together, the two represent a continuum of the entire marketing and communications loop; where the one ends the other picks up. I arrived at Graph Expo on Sunday, October 7 and entered the expo floor when it opened at noon. Along with everyone else, I noticed immediately the prominence of the manufacturers of digital printing technologies, as was the case in last year’s show. Canon, Xerox, HP, Fuji, Kodak and others have taken over the largest booths in the show. In previous years, these booths were occupied by Heidelberg, KBA, Komori and Mitsubishi. Although Heidelberg stood out by having a large space with many machines on display, gone are the days of GraphExpo as a showcase of large and loud offset printing machinery. 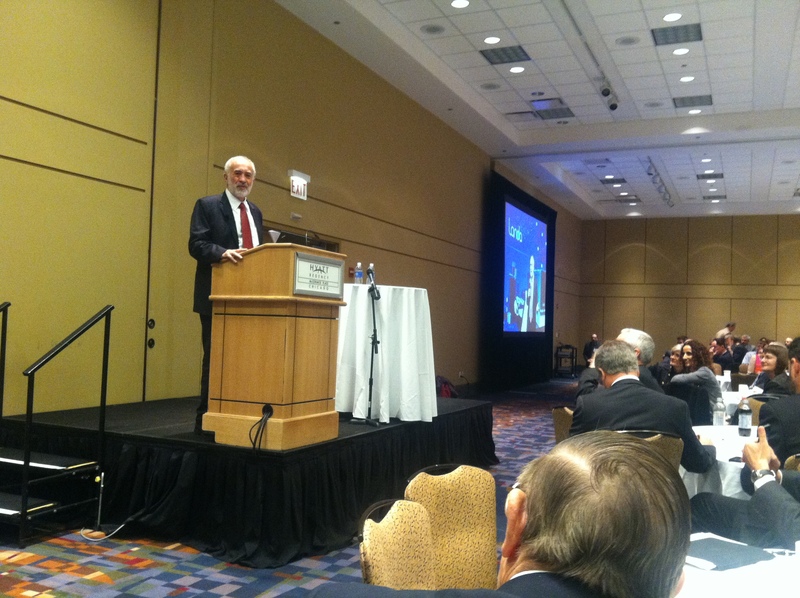 On Monday morning October 8, I attended an InfoTrends breakfast meeting that featured a talk by Benny Landa, the inventor of digital printing (he launched the Indigo press in 1993). Landa spoke about what he called the “economic depression of the printing industry.” As he reviewed the new printing technique his company has developed (nanography), he explained that the “98% of the printing being done today” is static, non-variable data printing. Since much of this printing is not profitable, it means that printing companies are unable to invest in new technologies. My visit to the DMA2012 Conference began by attending the opening keynote on Monday, October 15. The featured speaker was Chris Anderson, editor of Wired magazine and author of the business book “The Long Tail.” Anderson spoke about the implications of “big data” for marketing organizations. Big data is the ever-growing mountain of information about our lives; companies like Google and Facebook are accumulating big data about our online and offline activities, preferences and habits. The challenge facing marketers is how best to use this information since it is not structured and does lend itself to traditional analytical tools and methods. 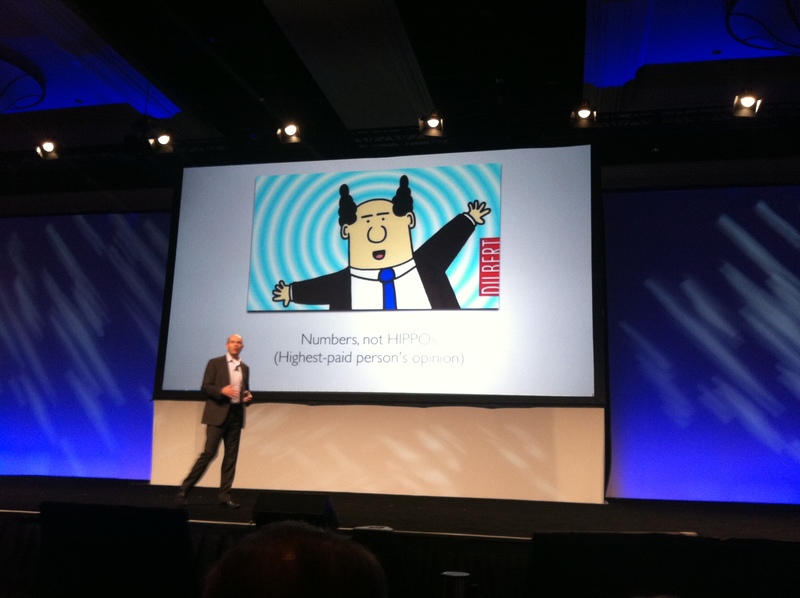 Anderson said that big data is a challenge to traditional marketing models. From this brief report, it is evident that we are passing through an exciting time in our industry; we are well into the transition from the traditional, analog world of yesterday to the data-driven, digital world of tomorrow. However, the path forward is not obvious; marketing organizations and their service providers are facing a multiplicity of challenges. Among the keys to success in this rapidly shifting environment is taking advantage of events like Graph Expo and DMA2012. In this way, we can grasp the fundamental trends of development, learn from our peers and prepare our own organizations to meet the new demands of our clients. Like most people in our graphic arts community, I was unable to attend the international printing and paper expo—DRUPA 2012—in Düsseldorf, Germany this year. The trade show, which is held every four years, took place May 3-16 at the Düsseldorf Fair Grounds. DRUPA—a contraction of the German words for printing (druck) and paper (papier)—is by far the biggest and most important printing industry event in the world. This year the exhibits covered 1.7 million square feet of floor space and were on display in a total of 17 halls. Having attended the expo twice in the past, I was very keen to follow the industry news reports—primarily from WhatTheyThink.com—and official DRUPA press releases as they came in each day. However, this year it was also possible for the first time to follow the event from social media streams. Through numerous YouTube and Twitter posts—from exhibiting firms as well as by attendees—it was possible to get a real-time view of what was happening. Among the most important news from the show came after it was over. 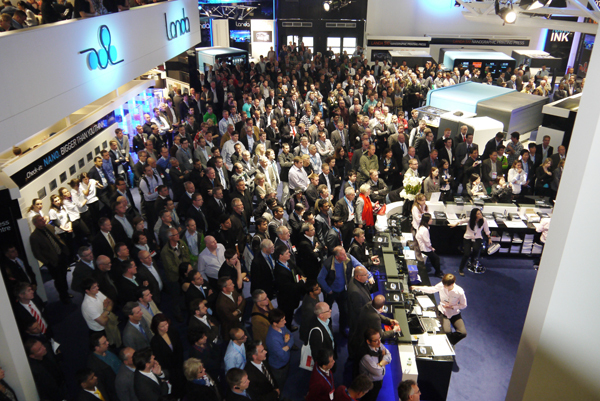 DRUPA 2012 saw 314,500 experts from more than 130 countries attend; this was 75,550 less than 2008. “This drop does not come as a surprise for us and the sector as a whole. In Germany alone the printing industry lost some 3,900 operations with over 61,000 employees between 2000 and 2011. In the USA over the same period more than 7,700 printing operations closed,” explained Werner Matthias Dornscheidt, President & CEO of Messe Düsseldorf. The major developments were clearly in digital printing with various inkjet-printing devices taking center stage. And the biggest news from DRUPA was the launch by Landa Corporation of a new category of printing called nanography. Benny Landa, the founder and CEO of Landa Corp., is the godfather of the digital printing revolution. 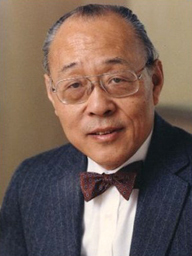 After he invented the Indigo press—the first full-color variable data printing device—in 1993, Landa then sold this technology to Hewlett-Packard in 2003. Landa’s new nanographic technology is distinct from other forms of digital presses in that it does not begin from the business proposition associated with variable data printing. Previous digital printing devices have attempted to compete for marketing and communications dollars based upon the value of personalized content. Nanography, while it offers this capability, more importantly makes a business claim on a substantial spectrum of static print media currently dominated by the offset method. As has been the case in the past, the most important thing about DRUPA is that it is more about where our industry is going than about where it is today. So DRUPA is a kind of time machine that lets us look ahead a bit. It is my hope that the information reported here will at least provide an indication of what to expect this fall at GraphExpo 2012 on October 7-12 in Chicago. Hopefully, more of us will be able to attend that show and then we can compare notes. See you there! 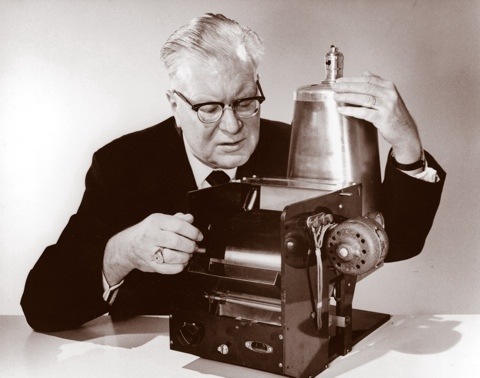 Chester Carlson invented xerography in 1938. 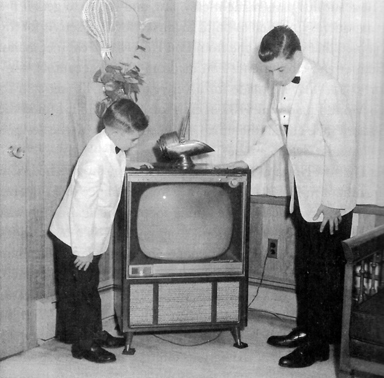 Here he is demonstrating a prototype of the technology. At age 20, I worked in the basement copy center of the NYU Law School as a college work-study employee. I learned to operate the systems used to duplicate legal documents for law professors and their students. 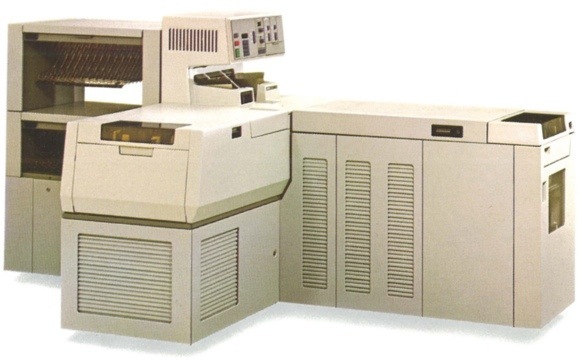 For example, I ran the Xerox 9600; it had a document feeder, image zoom, two-sided copying, a 50-copy sorter, an electronic control panel and a series of sensors to detect paper jams. I suppose there is significance to the fact that I remember far more about those copiers than I do about the legal documents being copied. I spent most of my free time experimenting, copying my own stuff and pushing those machines to their limits. 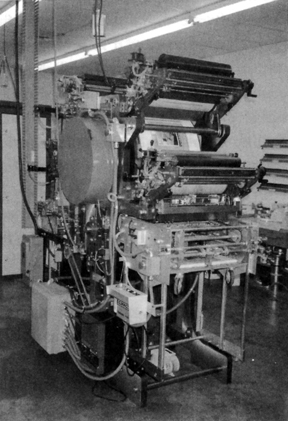 Xerox 9500 with sorter; I worked on a system very similar to this in the copy center at New York University Law School in 1979-80. Like most people, I took “xeroxing” for granted; I thought it was a fact of life and didn’t understanding where it came from. Only years later did I learn that xerography was a modern form of print technology; it was revolutionary when it was invented and its significance has continued to expand since then. As I think about it now, I am struck that the same distance of time (31 yeas) stands between today and my days at the NYU copy center in 1980 as between that time and the date of the first commercially available Xerox copier in 1949. 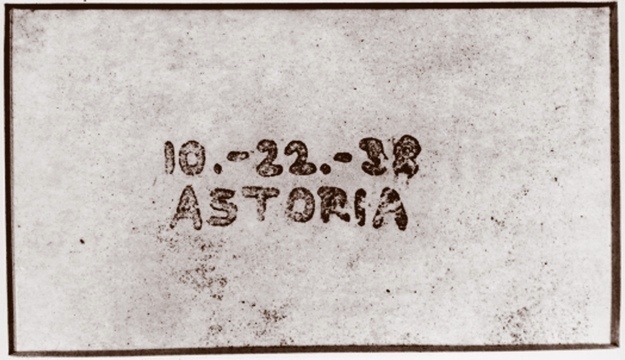 The first xerographic image produced by Chester Carlson and Otto Kornei. In 1946, with the assistance of Battelle Memorial Institute of Columbus, Ohio, Chester finally convinced researchers and executives at The Haloid Company of Rochester, New York to sign a $10,000 contract to license electrophotography. Marketing concerns turned Haloid to search for a better product name and xerography was suggested; the combination of the Greek words xeros (dry) and graphein (writing). The Haloid Company brought the Xerox Model A Copier to market in 1949, eleven years after Chester Carlson’s discovery. However, it was not a commercial success. It would take another eleven years (and many technological developments) before the fully automated Xerox 914 would become a huge hit as the first plain paper office copier. 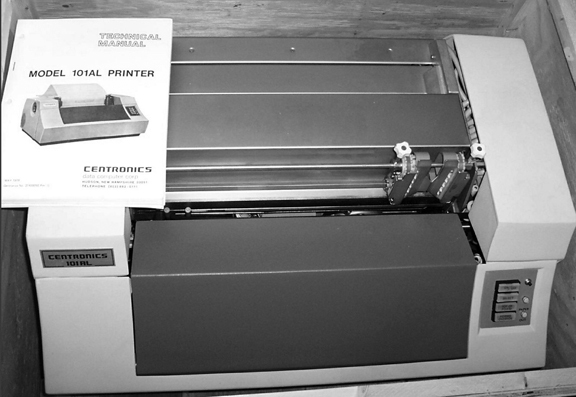 By 1962, ten thousand units had been sold and by 1968, revenues for Haloid Xerox had reached $500 million. 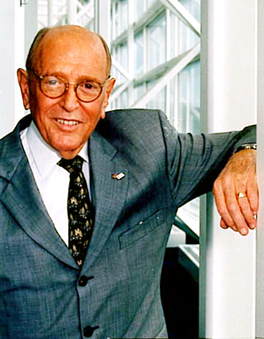 By 1965 Chester Carlson was worth several hundred million dollars from royalties on his patents, making him one of wealthiest people in America. However, Chester spent years quietly giving away most of his fortune to charities. 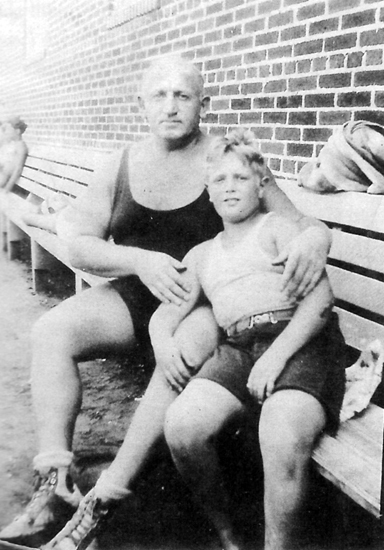 He died of a heart attack at the age of 62 on September 19, 1968. Chester Carlson’s invention—which took two decades to convert into a viable product—is used today in tens of millions of photocopying machines and laser printers as well as digital printing systems such as the Xerox iGen and Xeikon press. Along with digital ink jet printing devices, xerographic systems are slowly unseating traditional offset lithography as the dominant technologies of the printing industry.